Music for the Roman Missal--Click Here. 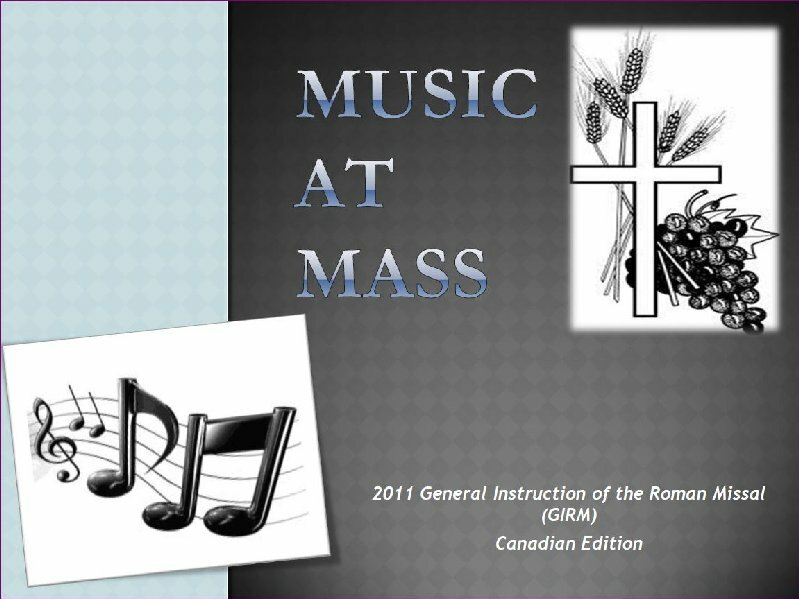 The music and texts for the Roman Missal found on the International Commission on English in the Liturgy (ICEL) website may be reproduced free of charge in printed form, for non-commercial purposes, in publications not for sale, by parishes, dioceses, schools, etc., provided that the copyright acknowledgement which appears at the foot of each page is included. Each publication (Year A, B, C) contains Psalm settings for the NRSV Psalms, coinciding with the Canadian Edition of the Lectionary: Sundays and Solemnities. This resource is available from CCCB Publications directly or may be purchased at Burns Hanley Church Supplies in Regina. These Music Ministry Planners will guide you through the music requirements for Sundays, Weekdays, and the liturgies of Holy Week. Click on the images/links below to view or download the guidelines and resources. 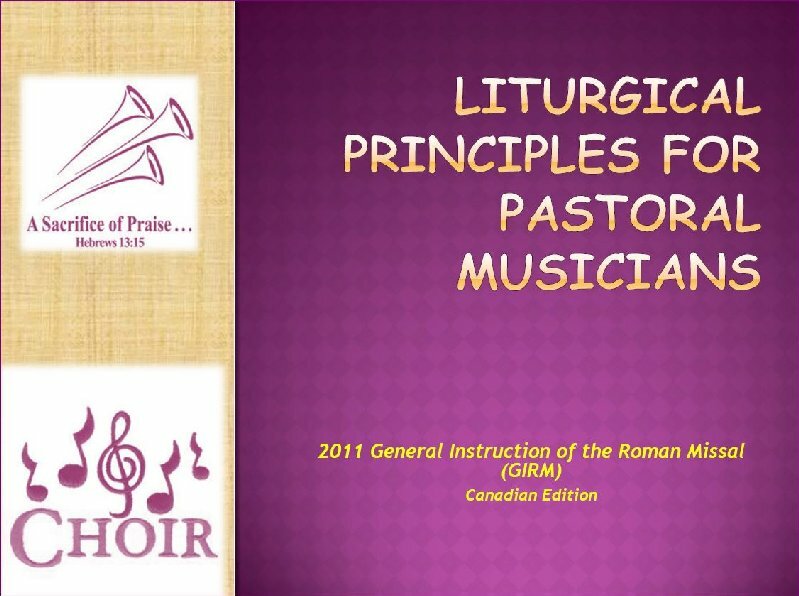 This is an excellent presentation of the principles of liturgical music for Sundays, the various liturgical seasons, the Sacraments and other Rites of the Church. This is a helpful guide in understanding copyright as both a legal and moral issued.